WASHINGTON (AP) — Before joining the Justice Department, acting Attorney General Matthew Whitaker earned more than $1.2 million from a right-leaning nonprofit that doesn’t disclose its donors, according to the nonprofit’s tax filings. Whitaker’s earnings represented a sizable chunk of the charity’s revenue. Financial disclosure forms released Tuesday show Whitaker received $904,000 in income from the Foundation for Accountability & Civic Trust from 2016 through nearly the end of 2017. He also received $15,000 from CNN as a legal commentator, according to the documents released by the Justice Department. From 2014 through 2016, FACT paid out nearly 30 percent of its total revenue to Whitaker. In 2015 alone, Whitaker’s $252,000 salary made up half of what the group brought in. 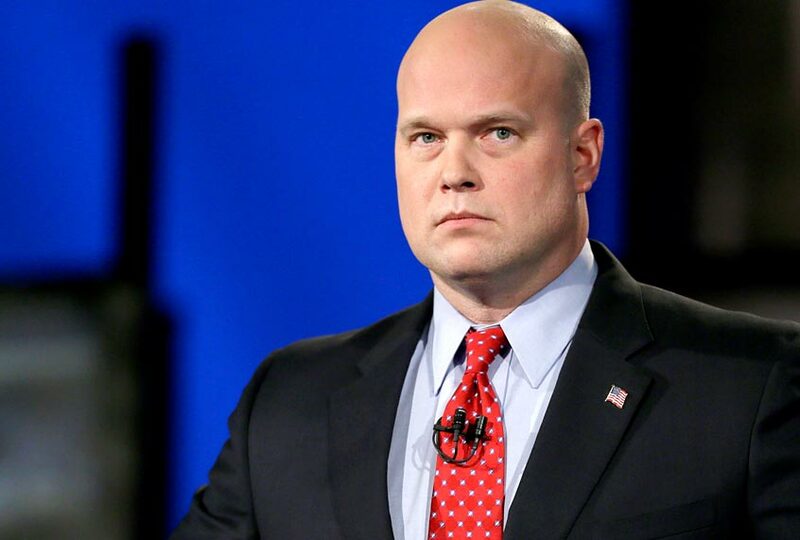 Whitaker’s salary also grew each year from $63,000 in 2014 to as much as $502,000 in 2017, according to the tax filings and public financial disclosures released by the Justice Department. Separately, Whitaker is also facing criticism about whether he violated federal law because a campaign committee set up for his failed 2014 U.S. Senate bid accepted $8,800 in donations this year, while Whitaker was serving as a top Justice Department lawyer. On Wednesday, Sen. Sheldon Whitehouse, D-R.I., called for an investigation into whether Whitaker violated the Hatch Act, a statute that generally prohibits executive branch employees from accepting or soliciting campaign donations. Whitaker’s campaign committee, which still carries about $49,000 in debt, hadn’t received any contributions between 2015 through 2017, according to Federal Election Commission data. The campaign committee, Whitaker for U.S. Senate Inc., also reported paying $500 to Whitaker’s old law firm, Whitaker, Hagenow & Gustoff, for space rental on Feb. 2. The campaign paid a $228 reimbursement to Christopher Hagenow — an Iowa legislator and founding partner of the law firm — for data services that same day. American Oversight, a liberal watchdog group, also filed a complaint alleging that the campaign donations would be a Hatch Act violation. The group said in a statement Wednesday that the Office of Special Counsel — an independent federal agency that investigates such complaints — had opened a case file on the matter. A spokesman for the agency, which has no connection to the Justice Department or special counsel Robert Mueller, didn’t immediately respond to a request for comment late Wednesday. 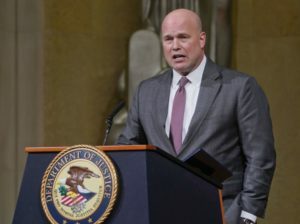 Several news outlets, including The Associated Press, and outside groups had requested Whitaker’s financial disclosure forms from the Justice Department after President Donald Trump ousted Attorney General Jeff Sessions and elevated Whitaker to the agency’s top post on Nov. 7. Those documents show Whitaker began revising his public disclosures the day he was appointed acting attorney general. He revised the forms four more times, including on Tuesday. FACT drew its funds from 2014-2016 mainly from Donor’s Trust, another nonprofit designed to provide anonymity to conservative and libertarian donors. Though such tax-exempt groups can legally withhold the identity of their contributors and generally do so, there may be a distinct irony when a group dedicated to transparency keeps its funding sources in the shadows. Whitaker’s appointment has been criticized by Democrats who have challenged its constitutionality and are concerned that he will interfere with Mueller’s Russia investigation. On Tuesday, the Senate’s top Democrat, Sen. Charles Schumer, asked the Justice Department’s inspector general to investigate communications between Whitaker and the White House and to look into whether Whitaker had access to confidential grand jury information in Mueller’s probe.